Fogo de Chão is a Brazilian Steakhouse with a very unique concept, a culinary journey! 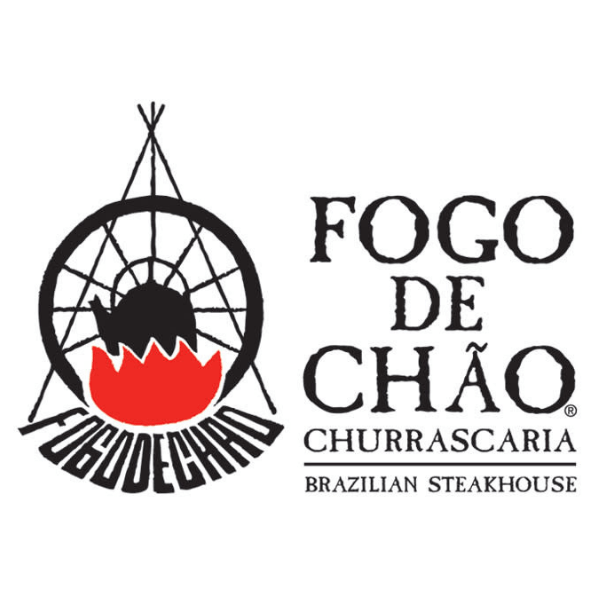 Fogo de Chão features a variety of fire-roasted meats including delectable cuts of beef, pork, lamb, chicken and sausage. Accompany your meats with authentic Brazilian side dishes served throughout the meal; warm cheese bread, crispy polenta, garlic mashed potatoes and caramelized bananas. Lunch includes a gourmet Market Table with a wide variety of healthful and exceptional items including imported cheeses, cured meats, artisan breads, seasonal fruits, vegetables, fresh salads and more. Meal includes coffee, tea and ice cream.